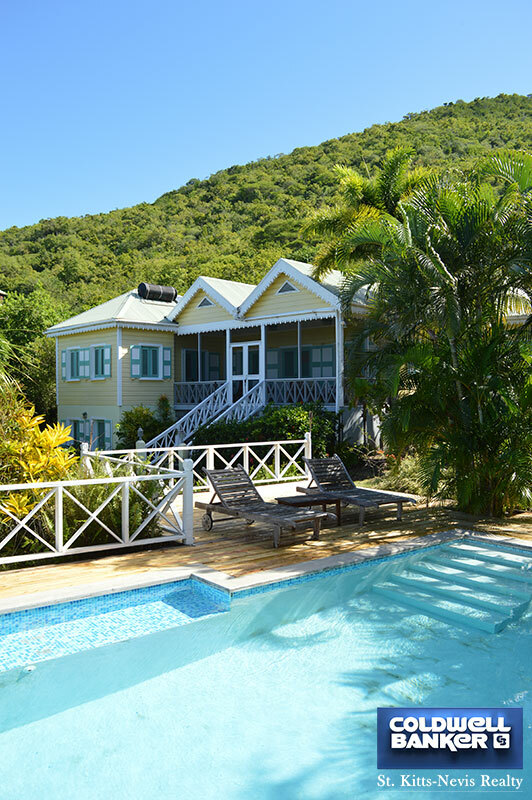 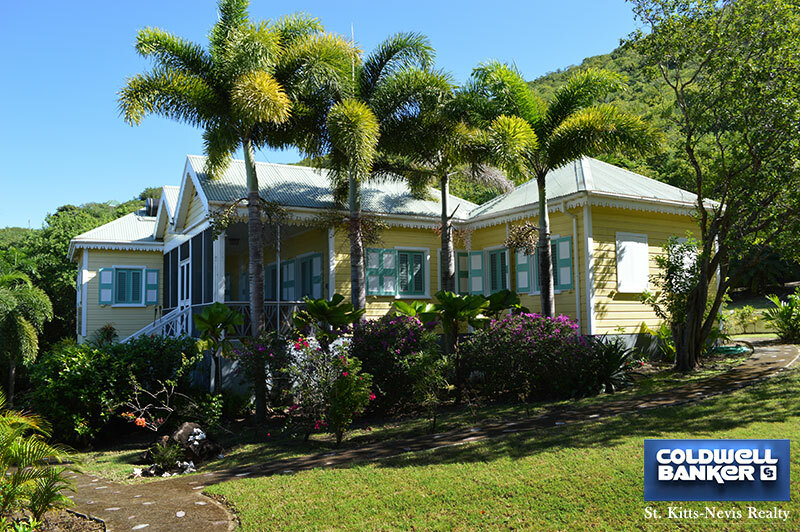 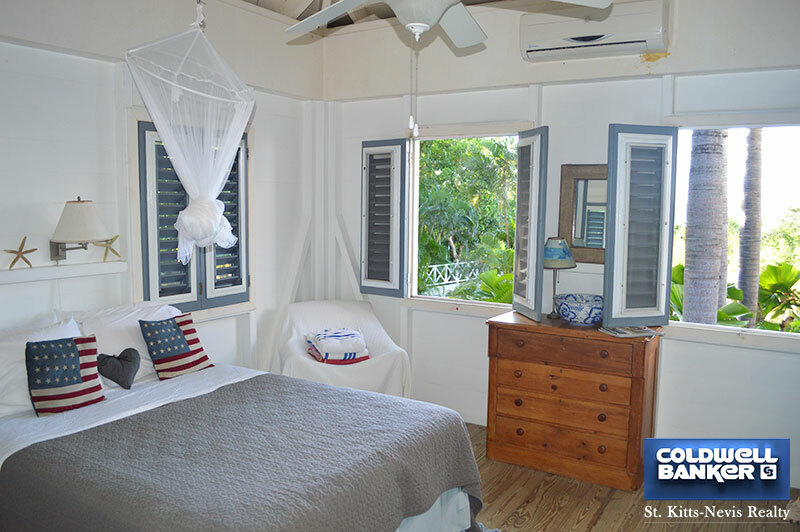 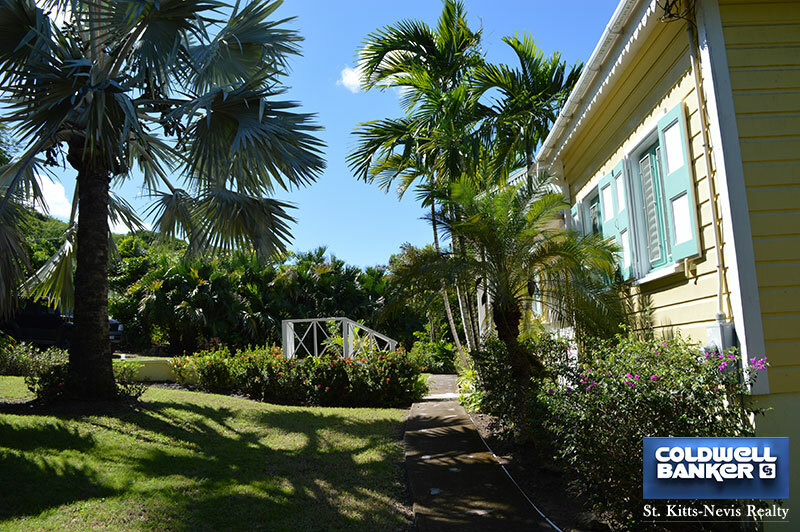 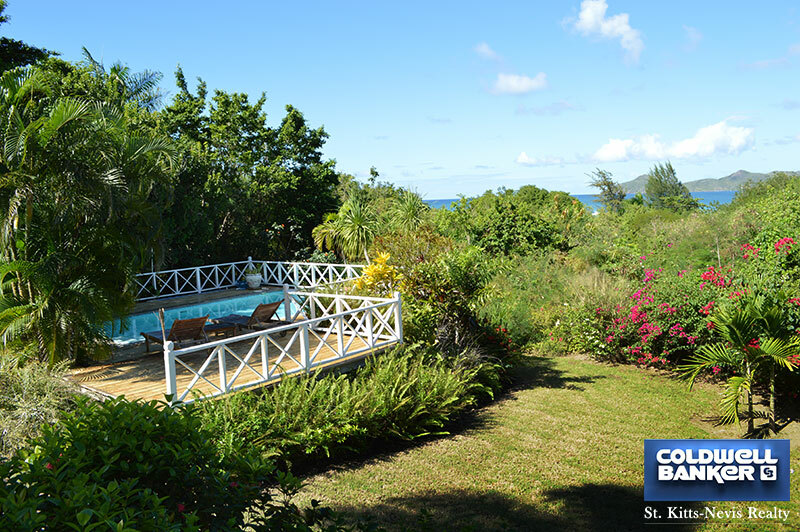 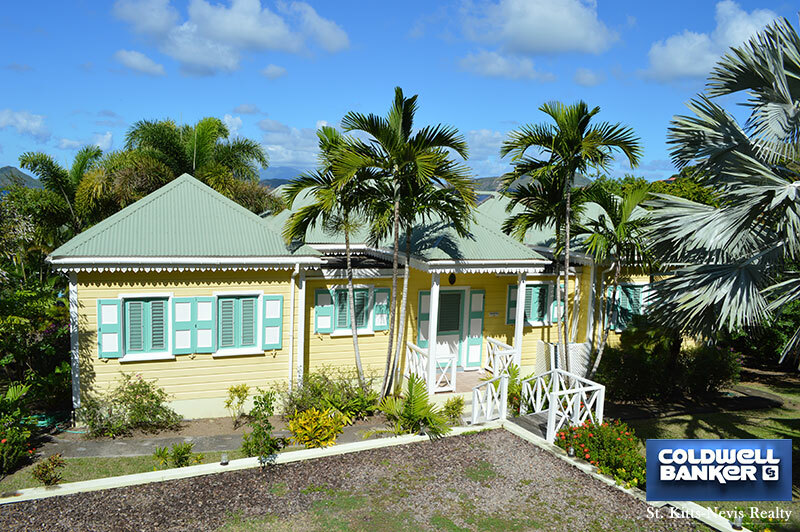 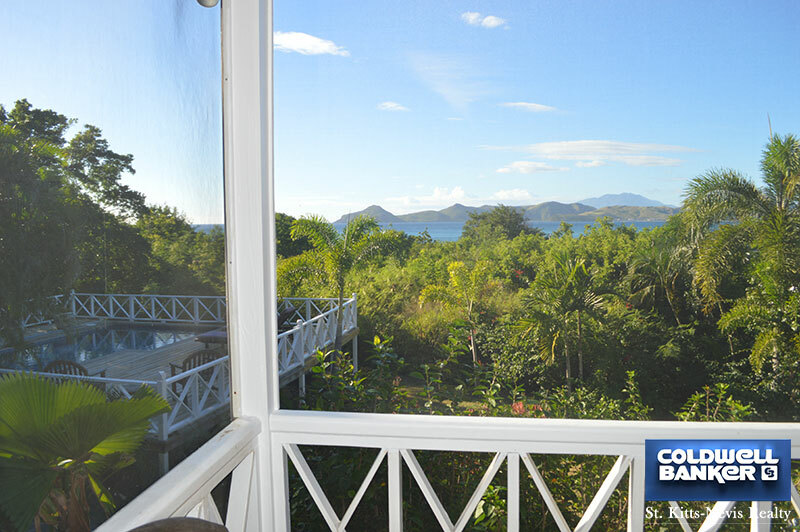 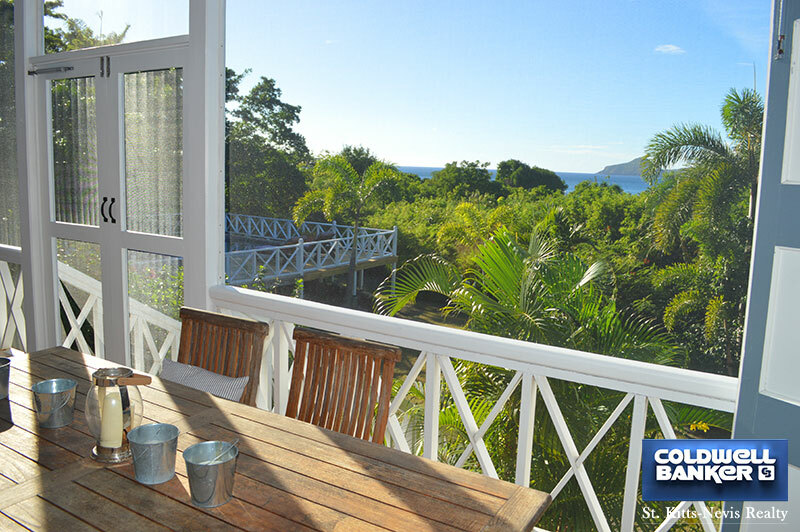 Set within a pretty garden of half an acre, this traditional Caribbean wooden house with four bedrooms and three bathrooms, overlooking the scenic Oualie Bay to Saint Kitts. 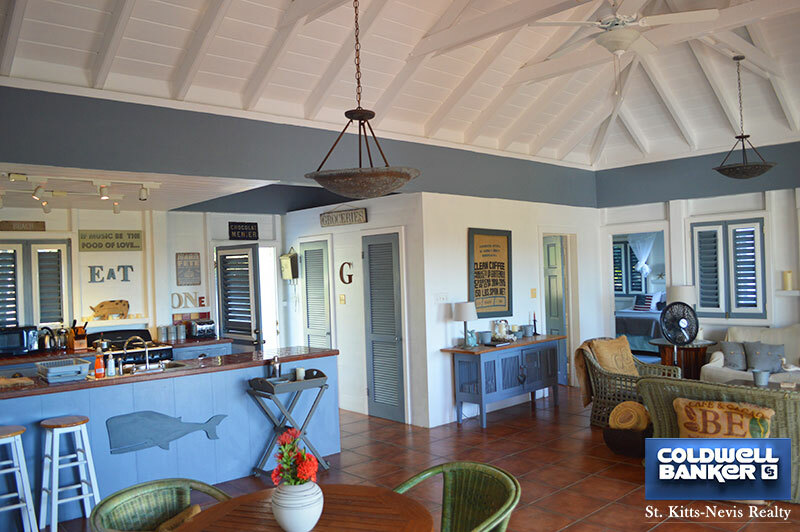 Exposed wood framing, graceful hip roofs with gingerbread carvings, all painted in warm pastel shades, creates a very West Indian atmospheric property. 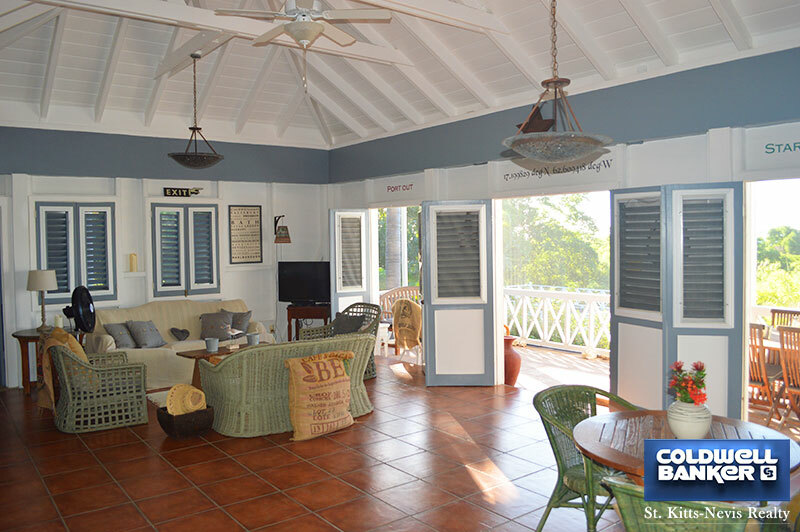 It is simply and tastefully furnished and well equipped to accommodate a large family or equally, a smaller group. 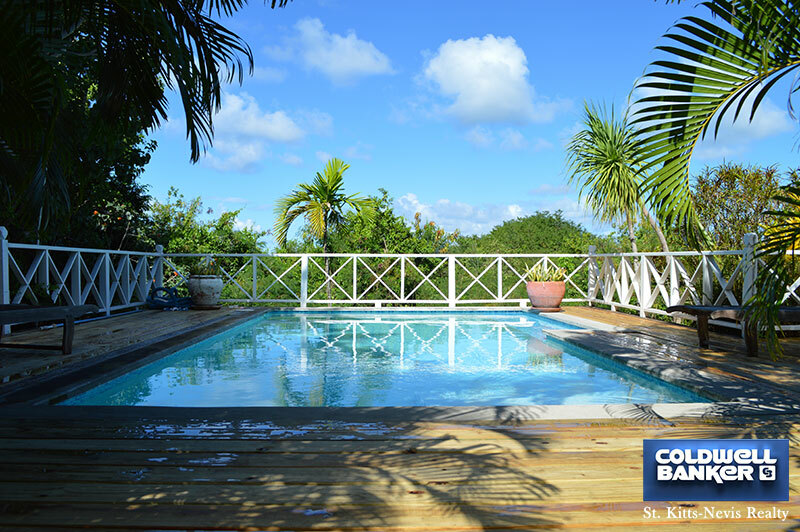 A swimming-pool 24'x12' with sun deck has recently been constructed. 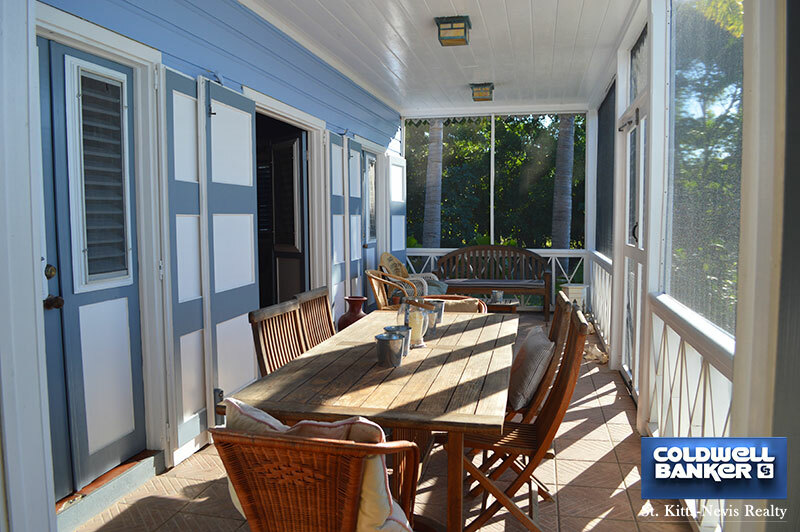 The entrance is from the rear of the property, into a spacious light and airy living room which incorporates a sitting area with TV, a further dining area for up to nine people. 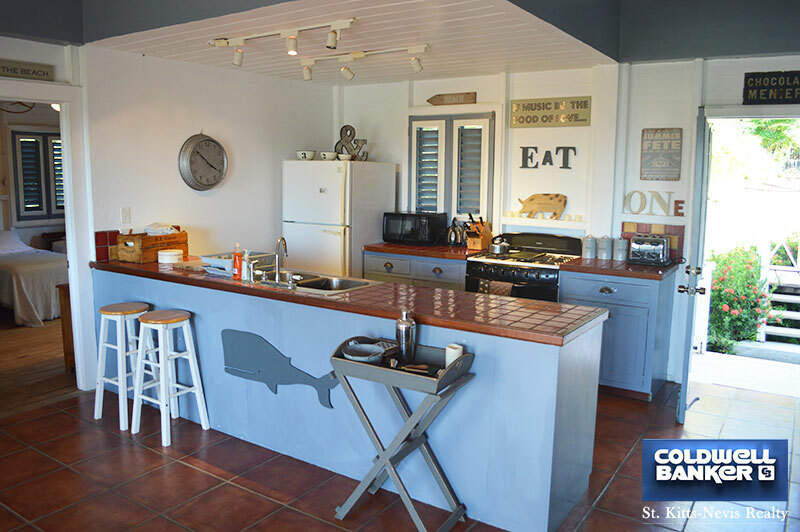 The kitchen is adjacent but separated by a breakfast bar and is fully equipped with a gas cooker (oven), large fridge/freezer, dishwasher and coffee maker. 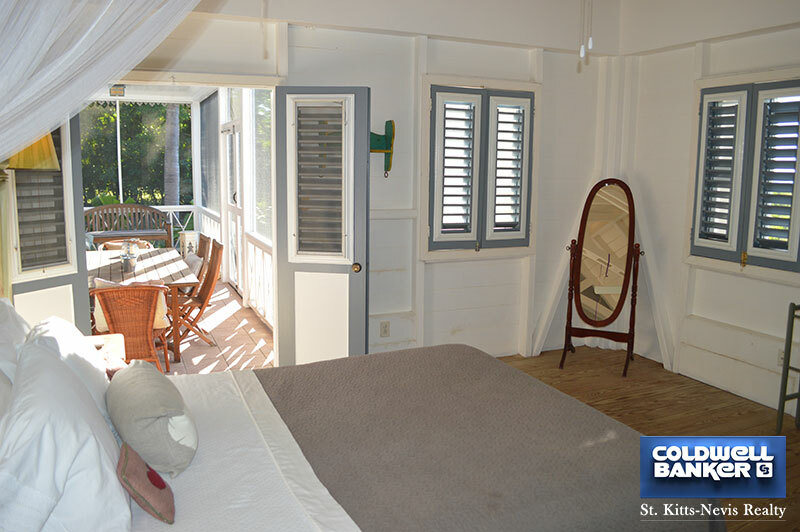 Three double doors open from this room on to the verandah overlooking the bay. 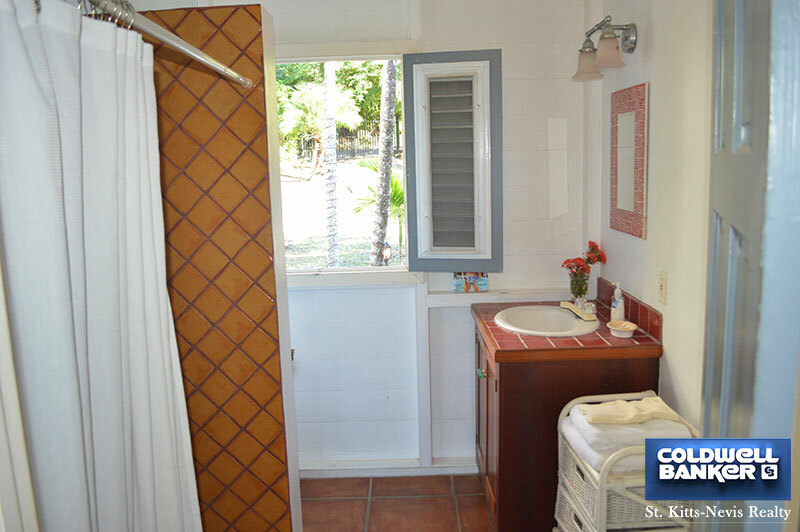 This is furnished with comfortable sitting and dining areas. 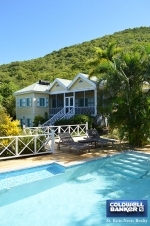 By using the button â��Book Nowâ�� reservations are confirmed after payment of the full rental price. 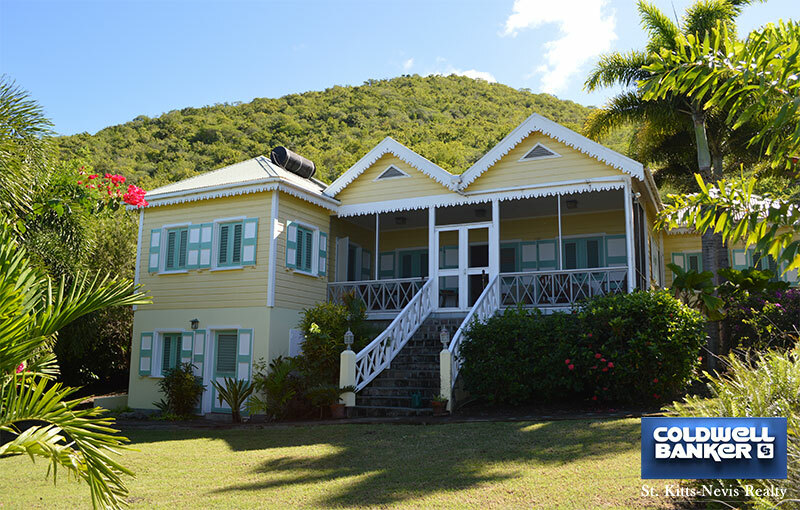 A 12% Tax is to be added to all rental prices. 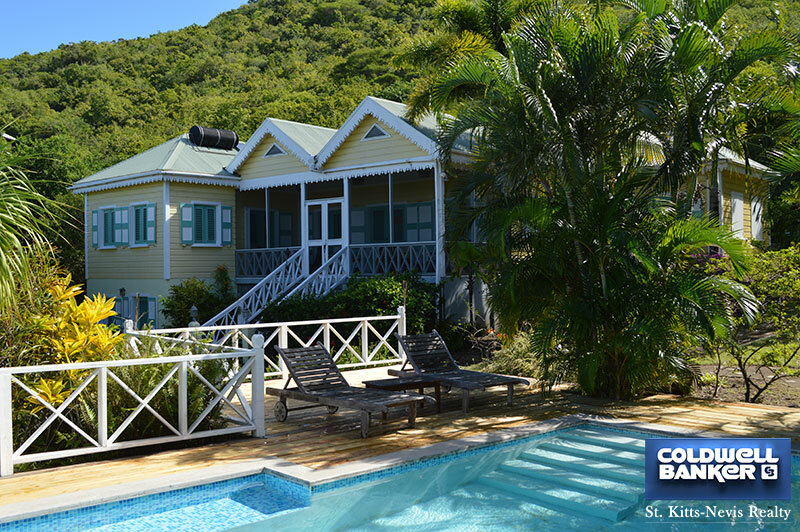 Payment is non-refundable. 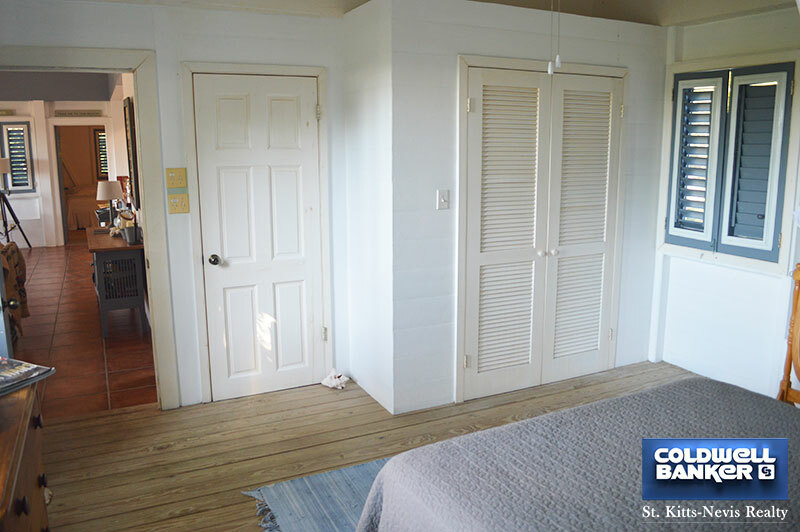 There are three triple aspect bedrooms, all the same size. 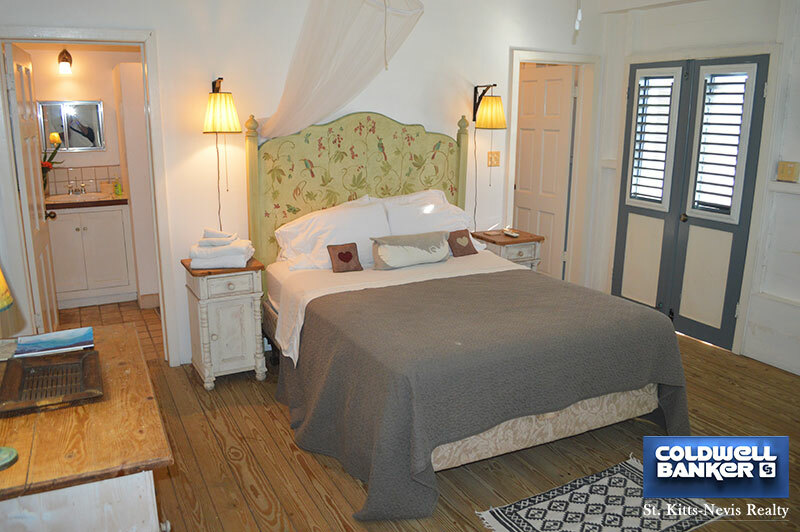 The main bedroom has a queen sized bed and an en suite shower room and also has direct access on to the verandah. 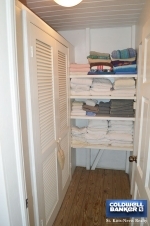 The second bedroom also has a queen sized bed and an en suite shower room, but this is shared with bedroom three via an extra outer access door. 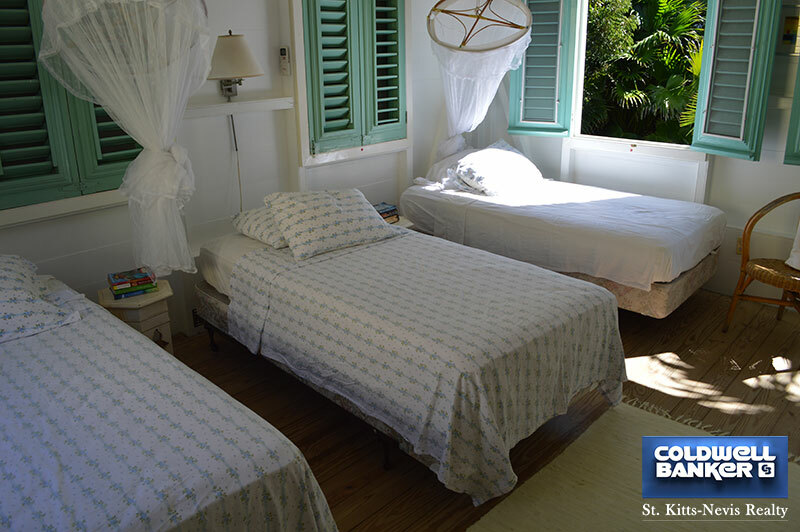 Bedroom three has two single beds and is ideal for younger guests. 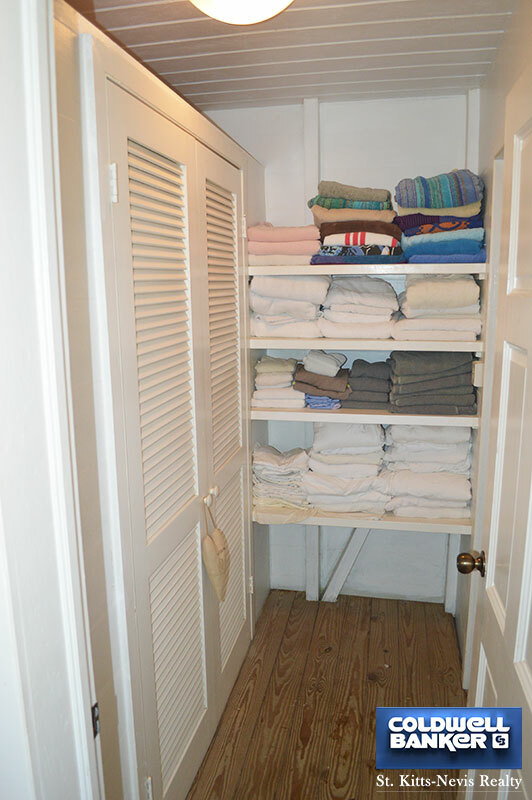 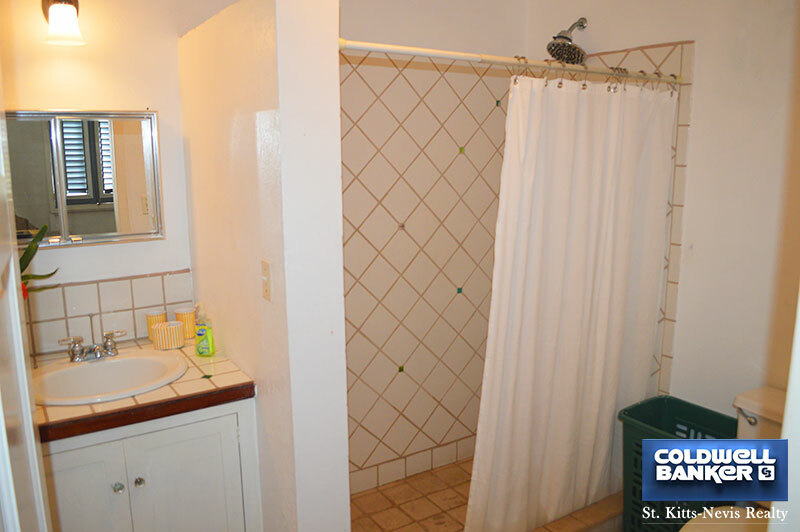 On the garden level there is a laundry room with washer, dryer and ironing facilities.